The Wetterstein Mountain Range is located on the border between Austria and Germany and is home to Germany highest peak and many scenic views. This project is special because I can basically start shooting from my frontdoor in Garmisch-Partenkirchen. That’s also the reason why I decided to start a new series since I’m pretty sure I’ll shoot more and more here over the coming years. Locations include Zugspitze, Lake Eibsee, Geroldsee and many more. 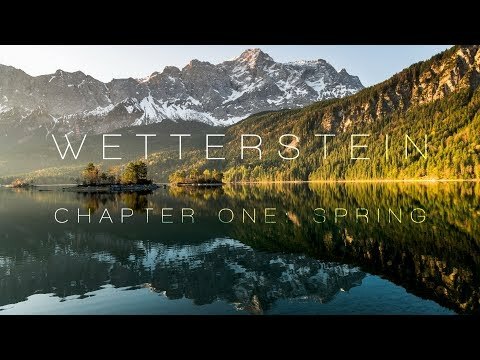 All shot in native 8K 60fps on Sony A7RIII, A7RII and Nikon D850. Lenses: Zeiss Otus 28mm f1.4, Sigma 14-24mm f2.8, Canon 11-24mm f4, Tamron 100-400mm, Sigma 50mm f1.4, Zeiss Milvus 35mm f2, Nikon 24mm f1.4, Nikon 24-70mm f2.8 and Nikon 70-200mm f2.8.